2016 hasn’t been a great year has it. David Bowie died, Prince died, Alan Rickman died, Brexit happened, Trump was elected, Aleppo…..2016 was the year that the entire world should have just stayed in bed. 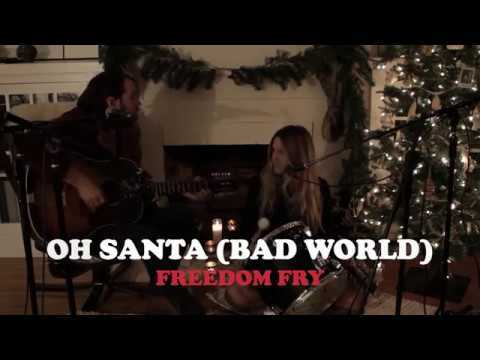 In light of this dismally tough year, we thought it was only right to share this Christmas song: “Oh Santa (Bad World).” It’s a song by French / American duo, Freedom Fry who have written a story about how Santa has stayed home this year.